Victor and Amara escape the ever loving blue eyes Thing and regroup at Victor’s new home. Amara is understandably angry, confused, and disoriented and she wants answers. Victor decides to listen to her request and opens up about his reasons for becoming Iron Man and what exactly he intends to do in this new role. 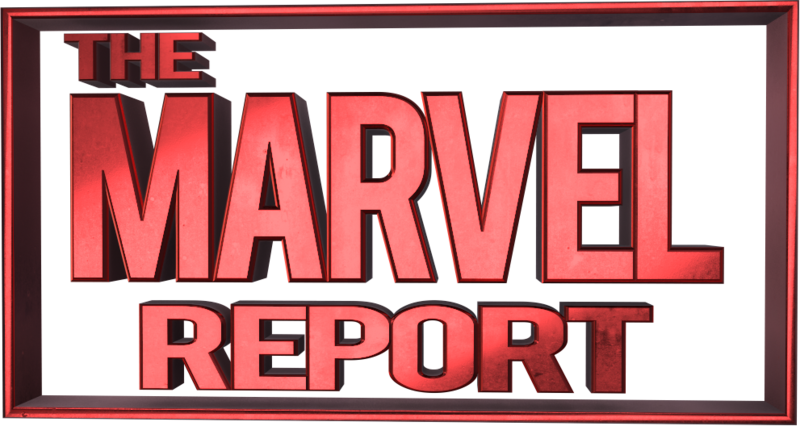 Buckle up true believers and prepare for a lot of dialogue. I think your enjoyment of this issue will depend on 3 different questions. 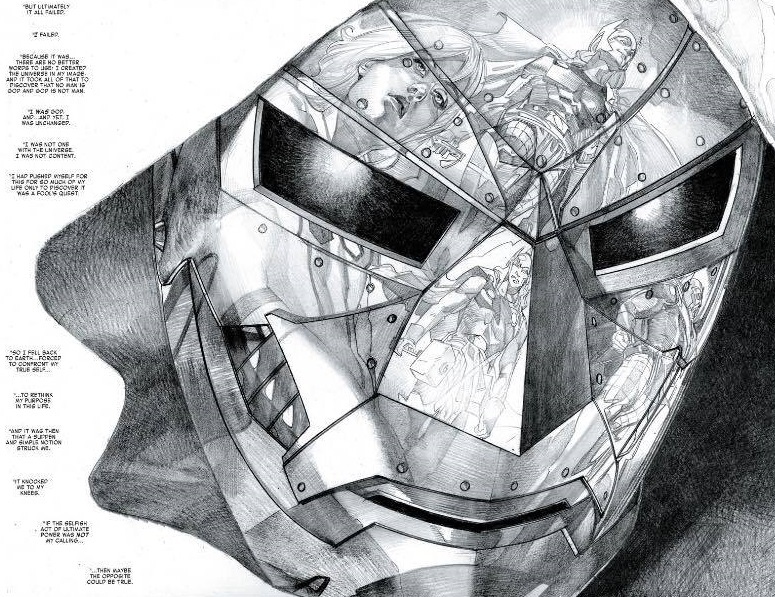 Do you prefer character driven stories Are you a fan Doctor Doom? Did you like the Secret Wars? Depending on your answers I could see how some people will enjoy this issue while others may find it slow and a bit flat. I personally enjoyed this issue and I’ll get to why in a second. As a writer, one of Bendis’ biggest strengths as a writer is how well he does character development. 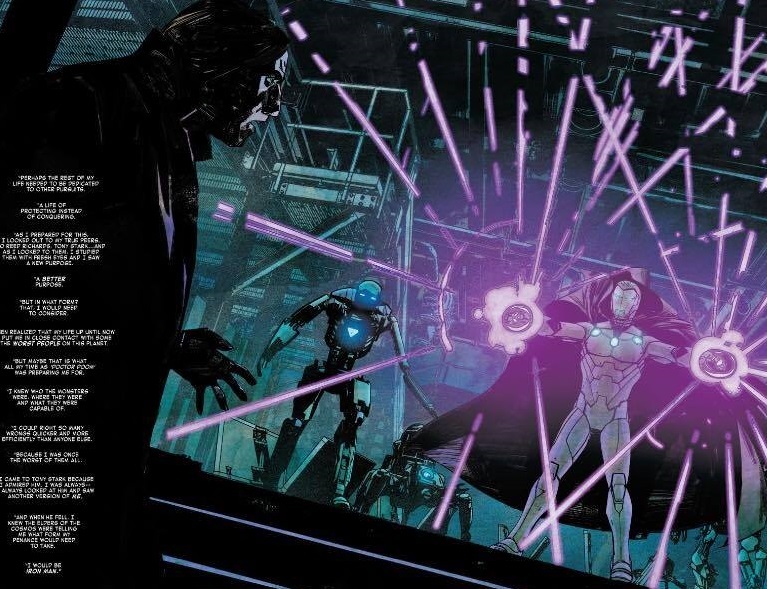 The drawback to that is sometimes he does issues that are 90% dialogue with very little action, so if you’re looking for action this issue might not be for you. Secret Wars was a very polarizing event among fans, but this issue gives us an opportunity to pull back the certain a bit and see how the events have impacted Victor, because at the end of the day Secret Wars was really a Doctor Doom story. Victor explains that throughout his entire life all he’s ever wanted was power, but even after he gained power he still felt hallow. In order to combat this lack of purpose Victor decided to look to his peers and surpringly found somewhat of a kindred spirit in Tony Stark. He is someone who much like himself was self made and built an empire for himself, but Tony had something Victor did not. He had a purpose. As Iron Man he used the gifts of his vast intellect to better the world. Victor saw that this goal was enough to keep Tony going no matter how much the world tried its best to knock him down and he admired Tony for that, so when Tony was taken out of commission Victor took it as a sign to honor Tony by taking on his mantle while at the same time trying to redeem himself. However Victor is going to take his unique perspective as a former villain to use his insider information to more effectively take villains down. Meanwhile it seems like Victor’s mother is going to try to assist her son in dealing with his former foe. I’ve said it in my reviews of the last 2 and I’ll say it again Alex Maleev’s artwork fits with this book perfectly. In an issue were the action is very minimal the facial expressions are key and the close up panels really highlight that. 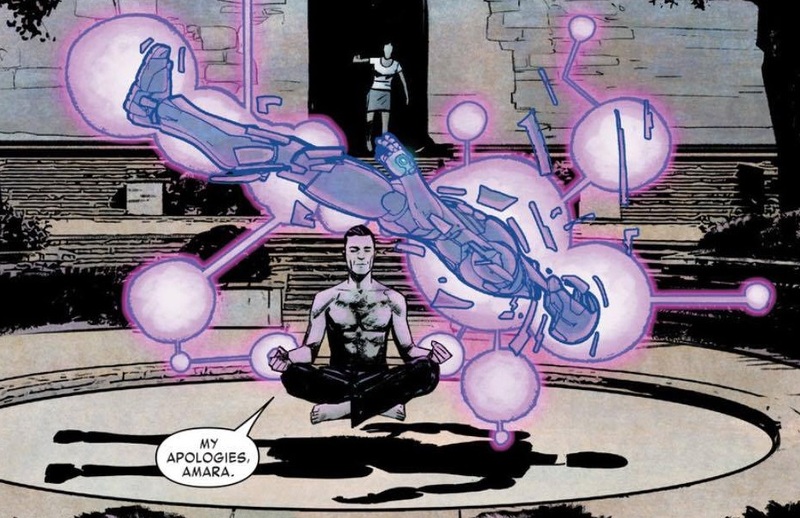 However the art really shines during the Secret Wars recap. 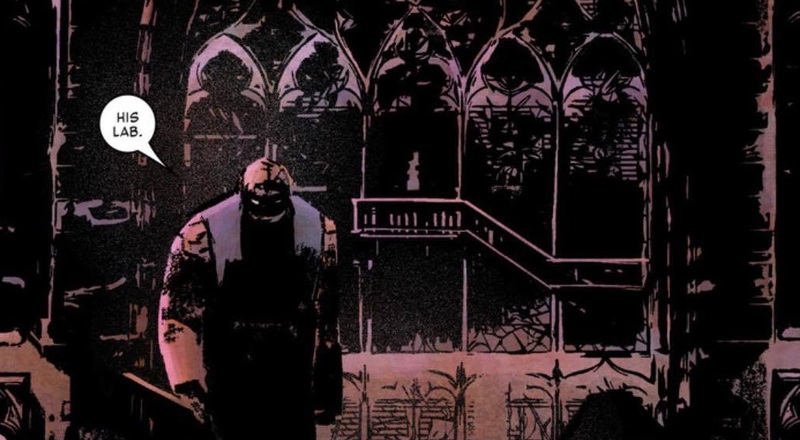 With Maleev’s art style sometimes less is more. The lack of color really made the pencils while also enhancing the reflective quality of the images. Once again Maleev knocks it out of the park. Overall I really enjoyed this issue. I think that these first three issues have built a solid foundation for Bendis to further Victor’s character arc. Sure this may be a slow start but if you’re used to how Bendis works you should know that Bendis is a master of the slow burn and massive payoff. 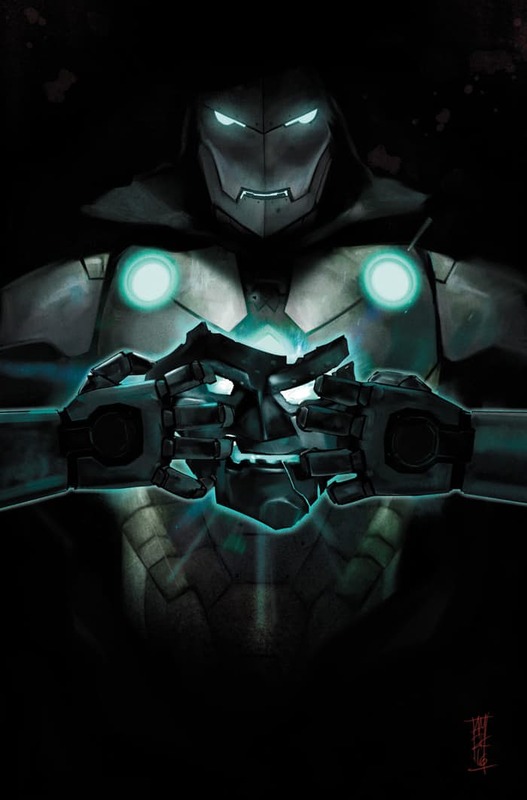 In short if you’re a Doctor Doom fan do yourself a favor and pick up Infamous Iron Man #3.